The 1930 New York Giants were a good ball club. Under the leadership of legendary manager John McGraw (in his 29th season in New York), they finished in third place, with a record of 87-67, five games behind the pennant-winning St. Louis Cardinals, and three games behind the second-place Chicago Cubs. But far more notable than their won-lost performance was the fact that those Giants led the National League in team batting average, in the season in which the NL posted its highest league-wide batting average of the 20th century. The league batted a lusty .303, the modern major league record, and the Giants’ team mark was a mind-boggling .319, also the major league 20th-century record. The 1930 National League was, in fact, at 5.68 runs per team/game the highest-scoring league between 1897 and the present day. Thus it might be reasonable to assume that the 1930 Giants represented the perfect storm of team batting average circumstances: the best-BA team in the best-BA league. It might be reasonable to assume that the .319 mark they compiled was just about as high a batting average as can conceivably be imagined under 20th-century conditions. That Giants’ team, after all, included first baseman Bill Terry, whose .401 average led the NL, representing the last .400 hitter the league has yet seen (as well as tying the NL record for base hits, with 254). The lineup also featured third baseman Fred Lindstrom having his best season, with a glittering .379, along with four other regulars posting career highs in batting average: right fielder Mel Ott at .349, shortstop Travis Jackson and catcher Shanty Hogan each at .339, and left fielder Freddy Leach at .327. That’s six, count ’em, six of the eight regulars having career years in batting average. Given all this, it might be that there’s no way to plausibly imagine any team, least of all that Giants’ team, putting up a team average any higher than .319. But, in fact, there is. Oh, yes, there is. First of all, let’s review the actual 1930 Giants’ roster. Their second baseman for most of the season (joining them in a May trade with the Reds) was Hughie Critz, a defensive specialist with a very light bat: Critz hit just .265 for the Giants, a woeful average in a league that bats .303. Their primary center fielder was a journeyman named Wally Roettger, whose offensive contribution was only slightly better. We clearly see the offensive sinkholes at second base and center field. Their bench wasn’t bad, but bearing in mind that the league hit .303, a .289 contribution from the bench wasn’t anything special; the combined OPS+ from their extra men was a so-so 82. And the pitchers didn’t hit especially well: helped no doubt by the cozy foul lines of the Polo Grounds, they chipped in with 7 home runs, but their batting average was a meager .201, and their OPS+ a paltry 23. Moreover, despite the gaudy .319 batting average, the team was just third in the league in runs scored, trailing both the Cardinals (1,004 runs) and the Cubs (998). The Giants’ total of 143 home runs was a franchise record, but was far behind the Cubs’ total of 171, which set a new major league record. The Giants drew just 422 walks, seventh in the eight-team league, which meant that despite leading the league in batting average, their team on-base percentage of .367 was just third in the league, and not substantially above the league-wide OBP of .360. So overall the 1930 Giants featured a good offense, but not an extraordinarily effective attack within its context. Yet it is apparent that with just something closer to league-average contributions from their second baseman and center fielder, they could have been improved. But we can’t just plug in a better second baseman and center fielder, can we? After all, in real life teams are engaged in a competition for talent, and generally in order to get something, they have to give up something else. So, it wouldn’t be realistic for us to pretend that the 1930 Giants might have featured stars at second base and center field, would it? Roll back the calendar five years, to 1925. The Giants that year included an impressive 25-year-old in their outfield, by the name of Lewis “Hack” Wilson. The short (5’6″) but very strong (190 pounds) right-handed batter demonstrated terrific athletic tools of power, speed, and arm. Wilson had pretty much won the Giants’ regular center field job the previous season, in which he hit .295 with 10 homers in 383 at-bats as a rookie. But in his sophomore year of 1925, Wilson’s strikeout rate rose, and his batting average dropped to .239. 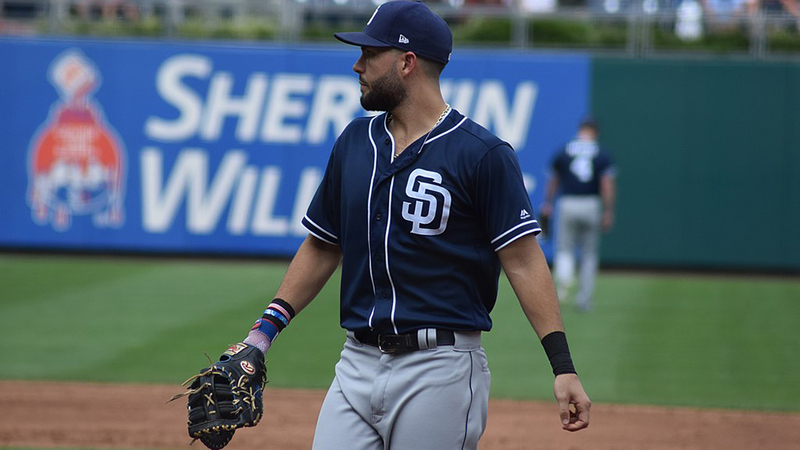 He fell out of favor with McGraw, who demoted him to a platoon left fielder, and then in August McGraw traded Wilson to the Toledo Mud Hens of the Class Double-A American Association. Wilson would be drafted that fall by the Chicago Cubs, for whom he would quickly blossom into a tremendous star center fielder. Faced with the embarrassment of having let the abundantly talented Wilson slip through his fingers, McGraw would tell the story that he had never meant to relinquish the young slugger, but did so inadvertently through an underling’s clerical error. I’ve always found that to be a rather obvious concoction: it’s clear that McGraw simply lost patience with the young outfielder (who was in fact slumping, and who was, shall we say, never noted for a sober dedication to conditioning). But suppose McGraw hadn’t acted quite so rashly with Wilson in 1925. Suppose instead McGraw had let Wilson play through his slump; this isn’t an unreasonable supposition, as McGraw was in fact a remarkably perceptive and skilled developer of young talent. Suppose McGraw had given Wilson one more chance, and hadn’t shipped him out: in this quite plausible scenario, the Giants’ center fielder in 1930 wouldn’t have been the forgettable Wally Roettger, but would instead have been the colorful Hack Wilson, who actually in 1930 hit .356 with 56 home runs and 191 RBIs for the Cubs. Now let’s move to 1926. In December of that year, McGraw’s Giants pulled the trigger on a blockbuster trade—no, the term “blockbuster,” that came into the language during World War II to describe a bomb filled with enough TNT to level an entire city block, isn’t adequate to describe this trade. This trade was no mere blockbuster: this trade was the nuclear option, quite possibly the greatest exchange of peak-level talent in baseball history. On December 20, 1926, the Giants traded their 27-year-old major star second baseman, Frankie Frisch, along with a dependable 31-year-old starting pitcher, Jimmy Ring, to the St. Louis Cardinals for 30-year-old superstar second baseman, and player/manager, Rogers Hornsby. The explanation for this staggering transaction is actually rather simple: it was a matter of strong personalities—McGraw’s, Frisch’s, and Hornsby’s. The lightning-fast, switch-hitting, slick-fielding “Fordham Flash” Frisch had been one of McGraw’s favorite protégés; in Frisch, McGraw saw a young man with intelligence, intensity, and leadership skills that resembled his own, and McGraw was openly grooming Frisch to be his eventual successor as Giants’ manager. But because his expectations for Frisch were so great, McGraw emotionally rode his young star very hard. By 1926, their relationship, which had once been quite close, was severely strained, and the strong-willed Frisch plainly wished to leave. Hornsby was no less intense a figure. His all-around brilliance in St. Louis was matched only by his capacity for aggravating those around him, and by 1926 Cardinals’ owner Sam Breadon was fed up. Thus it was that McGraw (and his owner-partner Charles Stoneham) and Breadon (and his General Manager Branch Rickey) agreed to exchange headaches. On the field, the trade worked out fine for the Giants. Hornsby had his typically spectacular season in 1927, and handled the Giants’ field managerial duties quite a bit as well, as McGraw was absent for extended periods due to illness. But Hornsby made friends in New York no better than he had in St. Louis; in particular the cantankerous Texan rubbed Stoneham the wrong way. Thus it was that in February of 1928 the Giants traded Hornsby away (and the vagabond period of Hornsby’s career was off and running). All in all it the Frisch-for-Hornsby trade was a gamble, a high-risk maneuver whose bad end was hardly a surprise. Suppose cooler heads had prevailed in December of ’26 (the likely coolest head being that of the genial Stoneham), and instead of sending away Frisch, McGraw had dedicated himself to achieving a rapprochement with his young field leader. It isn’t implausible; for all his pugnacity, McGraw demonstrated over the decades a capacity to sustain warm relationships with a variety of personalities, including the rough Joe McGinnity, the gentlemanly Christy Mathewson, the mischievous Casey Stengel, the forthright Ross Youngs, the sharp-tongued Bill Terry, and the shy Mel Ott. It isn’t unreasonable to imagine that, at Stoneham’s urging, McGraw and Frisch might have sat down together that winter, and in both of their best professional interests, buried the hatchet. Suppose that had happened, and the atomic offer from the Cardinals had been rejected. The Giants’ second baseman in 1930 wouldn’t have been the banjo-hitting Hughie Critz, but would instead still have been the Fordham Flash, who that season batted .346 with 46 doubles for the Cardinals. Among the ways the Hornsby acquisition worked out badly for the Giants was that when they put him on the trade market, Hornsby’s reputation for disagreeability was now so pronounced that he didn’t command a package nearly equal to his own talent, nor equal to that of Frisch and Ring. Instead, when the Giants sent Hornsby to the Boston Braves in early 1928, all they got in return was James “Shanty” Hogan, a well-regarded but unproven young catcher, along with a so-so outfielder, Jimmy Welsh. McGraw would install Hogan, just 22 years old, as the Giants’ first-string catcher in 1928. Hogan represented a new type of catcher: in the Dead Ball era, with bunting and stealing such a crucial element in the game, catcher was a decidedly defense-first position, as quickness, agility, and throwing ability were of more use than batting prowess. But with the dramatic changes in the style of play that came about in the 1920s, the requirement for catchers to deal with bunts and steals was greatly reduced, and backstops who were nothing special defensively but who could hit for power now had a place. McGraw, ever the innovator, was among the first to grasp this in his deployment of Hogan, who was 6’1″, and is generally listed at 240 pounds but probably got quite a bit larger even than that. (Ernie Lombardi, who would arrive in the majors with the Dodgers in 1931, became the most prominent exemplar of this new mode of catcher.) Hogan was dreadfully slow, and not much with the glove, but he swung a big bat, though as he struggled to control his weight he never developed into the star hitter the Giants hoped he would become. At any rate, if the Giants had never acquired Hornsby, they would never have been able to trade Hornsby for Hogan. So who would have been their catcher instead? It’s reasonable to assume it would have been Al Spohrer, who was briefly Hogan’s backup with the Giants in 1928 before being traded to the Braves, and eventually assuming the starting role for Boston in place of Hogan. Spohrer wasn’t big or strong (5’10”, 175), but was a quick-footed, good-field-no-hit catcher in the old Dead Ball style. The Giants were likely better off with Hogan (and certainly better off offensively with Hogan), but in our alternative scenario they’d likely have been stuck with Spohrer. Freddy Leach, the Giants’ regular left fielder in 1930, was a pretty good ballplayer: he was a solid defensive outfielder (he’d been mostly a center fielder though 1927), and a decent line-drive hitter. But Leach wasn’t nearly as good as the guy the Giants had traded for him in October of 1928: Francis “Lefty” O’Doul. O’Doul had been a southpaw pitcher, but was nothing more than a marginal big leaguer on the mound. As his pitching career fizzled, in 1924 at the age of 27 O’Doul won the job as the left fielder with the Salt Lake City Bees of the Pacific Coast League: O’Doul was 7-9 with a 6.54 ERA that year, but hit .392 in 416 at-bats, and it was clear in which direction his career path would lead. Over the next three years in the PCL, O’Doul hit .375, .338, and .378, twice leading the league in hits, once in runs scored, and once in triples. For the 1928 season, McGraw’s Giants acquired O’Doul, and deployed him as a platoon left fielder; in that role O’Doul did well, hitting .319 (117 OPS+) in 354 at-bats. But McGraw perceived in the 31-year-old Leach a better all-around player, and swapped O’Doul with cash to the Phillies to get him. This would prove to be a blunder: Leach was okay, but in Philadelphia, O’Doul was given a shot as a full-time regular, and he succeeded brilliantly. Even accounting for the high-octane offensive context of the National League of 1929-30, as well as the cozy hitting environment of Baker Bowl, O’Doul’s performance for the Phillies was tremendous: he hit for a great average with excellent power, putting up OPS+ figures of 159 in 1929 and 146 in 1930. O’Doul was a genuinely terrific hitter. Suppose McGraw hadn’t made the questionable O’Doul-for-Leach challenge trade, but instead had given O’Doul the everyday chance he got in Philadelphia. In this very plausible scenario, the left fielder for the 1930 Giants wouldn’t have been the nothing-special Leach, but would instead have been the heavy-hitting Lefty O’Doul, who hit .383 with 22 homers for the Phillies that year. We’ll see just what the 1930 Giants’ lineup might have accomplished, had John McGraw not dealt away Hack Wilson, Frankie Frisch, and Lefty O’Doul. Insights into the Frisch-Hornsby trade situation were gleaned from the essay by Frank Graham on the history of the Giants’ franchise, that appears in The National League, edited by Ed Fitzgerald (New York: Grosset & Dunlap, 1966), page 268.